Ghar Dalam means ‘Cave of darkness’ which dates back to the prehistory time era. It contains the bones of animals that were stranded and subsequently became extinct on Malta at the end of the ice age. It is the start of the Prehistoric Age in Malta dating from 5200 to 4500 BC. During that time Malta was joined to Africa and Sicily since the water of the Mediterranean were very low. Large animals such as freshwater tortoises, dwarf elephants, hippos, foxes and other vertebrates roamed around for food. The history of the islands due to the findings inside this cave, can be decoded from the strategraphy which are distinguished in six principal layers. The lowest layers dates more than 500,000 years ago. The top layer known also as ‘cultural layer’, giving evidence of the existence of human settlement on the Maltese islands, dates to 7400 years ago. The cave was formed around 500,000 years ago by water seeping through the Lower Coralline limestone during the Pleistocene period including flooding which washes inwards all materials in its path. The first archaeological digs were carried out during 1885. It was opened for the public during 1933. During 1933 a museum was built beside the main road leading to Birzebbugia. The entrance to the cave is through this museum which is down hill through a staricase and a short passage leading down the valley, situated on the side of the valley. During World War ll the cave was used as an air raid shelter for 90 people. Later on the British forces used the cave as a storage for fuel. Then after the war during 1945 the museum was opened again to the public. In 1987 a team of researchers from the university of Lecce Italy made further investigations and discovered Palaeolithic cave art depicting human hands, anthropozoomorphic, and several animal designs from underneath the stalagmatic formations. The museum displays a vast wealth of finds from animal bones to human artifiacts. During 2002 a side extension was built onto the museum. This section of the museum explains the effects of life on earth and the effects of the Ice Age on Malta. The cave is around 144 metres deep but only the first 50 metres are accessible to the public. The pottery is a local variant of the impressed ceramic wares that we know to be the oldest of their kind in the Mediterranean coastal regions. The pottery is associated with the spread of agriculture in these areas. 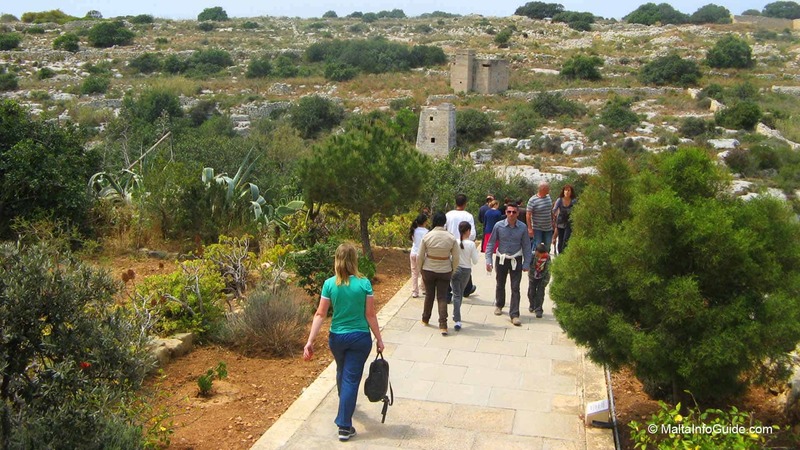 Ghar Dalam remain an important link to Malta's prehistoric era. Tourists visit the Ghar Dalam Cave every day. Closed on 24, 25 and 31st December, 1 st January and Good Friday. Getting there: By car drive through the main road leading to Birzebbugia. Parking is easy and accessible adjacent to the museum. Public Transport: Public Transport bus - route 82, leaves Valletta and terminates at Birzebugia and back again. Hop-on hop-off Routes: The Red South Route for both sightseeing operators namely Malta Sightseeing and City Sightseeing Malta pass from here with a stop just beside the Museum. Closest Village: Birzebbugia is just down hill. The next village is Marsaxlokk. Other close villages within the circumference of the main road leading to Birzebbugia are Zejtun, Ghaxaq. 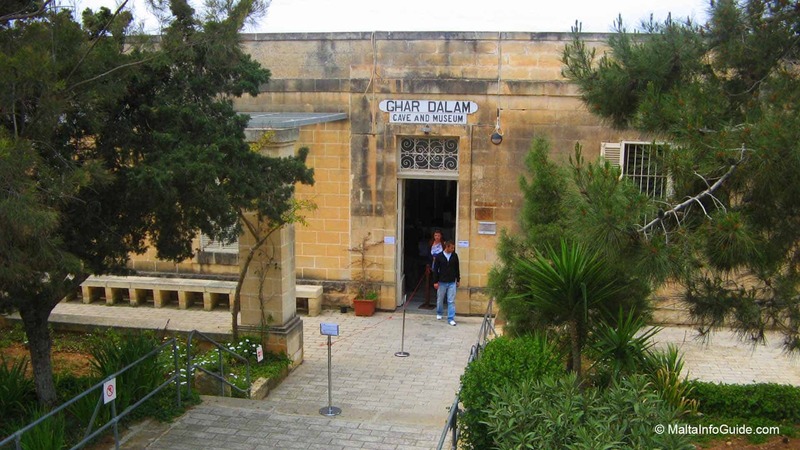 Cultural Attractions: Borg in-Nadur lies very close to Ghar Dalam. Just down the main road on the right going up hill. Arriving at the first small Pretty bay. Ask around or check on the tourist map for indications. Between Birzebbugia and Marsaxlokk Bay, lies St. Lucian Tower built by the knights of Malta between 1610 and 1611 forming part of the Wignacourt Towers. During the British colonial times, it was further reinforced. Presently it is used as The Malta Center For Fisheries Science. It is not open for the public but one can walk around the tower admiring the fantastic view of the surrounding bay. 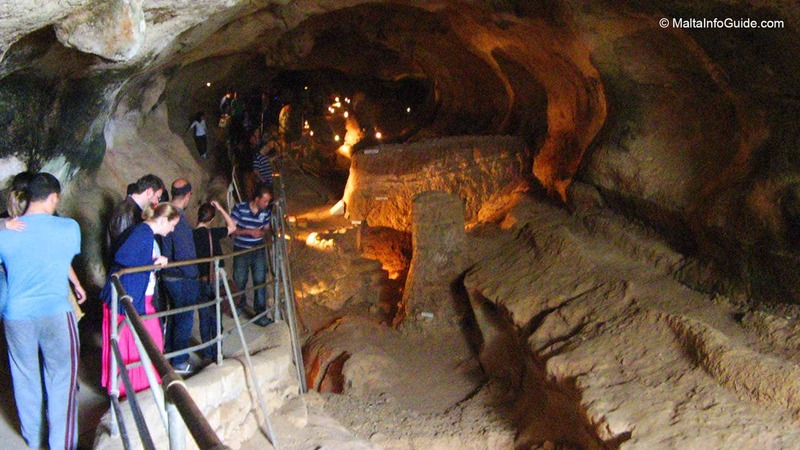 Ghar Dalam remain the main evidence of prehistoric life in Malta.